Premier Sisi SH Ntombela started her career at the Department of Education as a teacher for the period of five years at Mafahlaneng. She progressed to work for the Department of Health where she served as a Health Worker for 12 years. She further progressed to join the then Department of Welfare as a Community Developer for a period of four years. This was indeed an indication in the early years that she is a person occupied with the advancement of human potential and the alleviation of the plight of the weak and marginalized. Her community involvement increased when she became a Board member of Child Welfare, a founder of the many community service organizations, such as the first creche (Moalosi Early Childhood Development) in Tweeling; Thabang Old Age Home; Mafahlaneng Tele-Centre and Botho Centre in Namahadi, Frankfort. Her leadership credentials were spotted earlier by the African National Congress (ANC) as she was deployed to serve in various capacities of public leadership in many pioneering responsibilities, such as Local Government Mayor ÃƒÆ’ Tweeling Transitional Council in the years 1993-1999; District Council Representative Fezile Dabi Region/Northern Free State 1998-1999; Member of Free State Provincial Legislature (MPL) and Chief Whip 2001-2002; Member of Parliament in the National Assembly 2006-2007 in which she served in the Portfolio Committees (Local Government, Housing, Labour and Home Affairs). 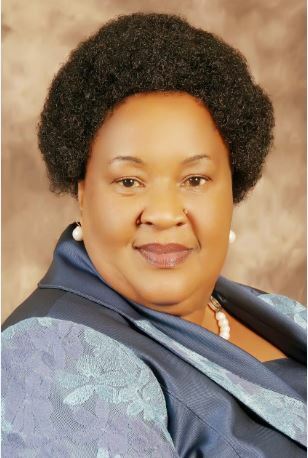 She returned to the Free State Legislature as Chairperson responsible for Social Development and Health, she later became the Deputy Speaker until the National Elections of 2009. Her political career has seen her serve in various capacities, such as Treasurer of Mafahlaneng ANC Branch; Chairperson of the Mafahlaneng Branch of the ANCWL; Chairperson of the Frankfort RegionWomens League; Chairperson of Free State Province Womens League; Member of ANC PEC; Provincial Convenor of the Progressive Womens Movement in the Free State.